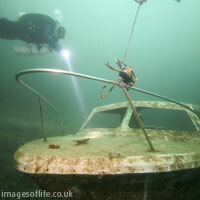 Landrover Lagoon is the first attraction that you will come across if you head North from the pontoon at a depth of 7m. 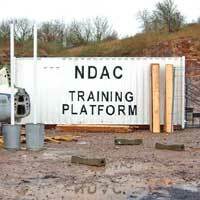 We have three training platforms on the site that have been constructed from 40ft x 20ft Shipping Containers. 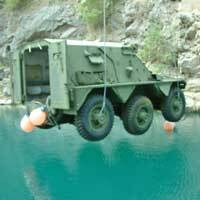 These provide not only provide a stable, safe and exciting training platform but also act as a great swim-through attraction. Before placing them in the water we did a great deal of work on the containers; drilling holes, cutting metal, and constructing wooden floors. As you would expect a great deal of preparation work was undertaken to ensure both front and back panels were completely removed and all sharp areas taken away. We also welded on a 2ft hand rail to each of the new training platforms that cover 3 sides of the top. The training platforms are more than capable of each taking up to 12 students at a time. All the units have been painted white with a massive stencil informing you all that they are training platforms, so there are no excuses for getting lost! This cruiser can be found between two training tables along the northern wall of the quarry. 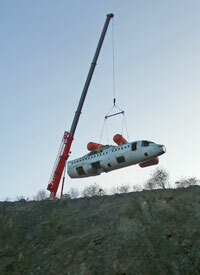 This attraction arrived on the site towards the end of 2006 and can be found at the north end of the quarry between 2 training platforms. Originally designed as a light passenger and business aircraft, the Jetstream now serves additionally as a Royal Air Force and Fleet Air Arm crew trainer. 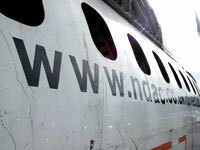 After the prototype flew in August 1967, Jetstream development costs forced the original manufacturer, the Handley Page company, out of business in 1970. A succession of companies kept the design alive immediately after this and Scottish Aviation at Prestwick took over in 1972 with a production order for 26 multi-engined pilot training aircraft for the RAF. 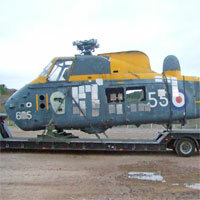 This attraction is one of two Wessex helicopters sourced from the Royal Navy which arrived at the National Diving & Activity Centre on 7th November 2007. The Wessex was developed under license by Westland Aircraft, initially for the Royal Navy, but later for the Royal Air Force (RAF). The Wessex was built at Westland's factory at Yeovil in Somerset. 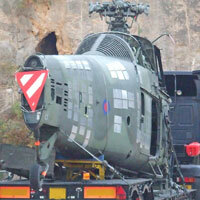 The early Wessex helicopters were first used by the RAF in 1962, and did not finally retire until January 2003, being the main transport helicopter until the introduction of the Puma. The Navy pressed the development of the Wessex into the improved Mk3, coming into service in 1967. 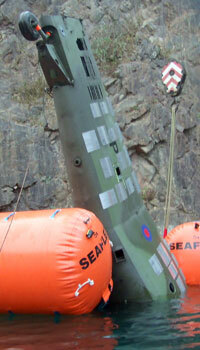 A later version of the Wessex used by the Royal Marine Commandos was the Mk5. 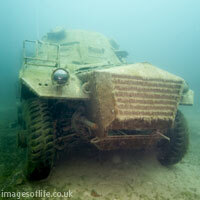 Designed in 1959 this 6x6 wheeled truck/boat is an Amphibious armoured vehicle with waterjet propulsion. 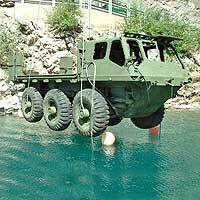 It's role was that of general amphibious transport truck, many units being fitted with a hydraulic crane and raised central canvas tilt support.Unfortunately, rapid technical advancement in helicopter design rendered its usefulness in all-terrain load carrying prematurely obsolete. 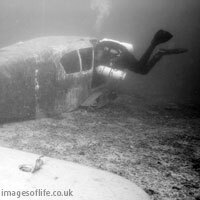 Which is why we have one sat at the bottom of our quarry! Over 1400 of these vehicles were produced, ending in 1971. This vehicle was declared obsolete in 1992. 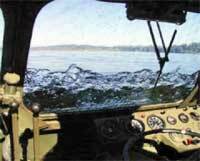 This attraction can be found between one of our training platforms and the Alvis Saracen Troop Carrier. Weighing in at 11 tonne The FV 603 Saracen is a six-wheeled armoured personnel carrier built by Alvis and used by the British Army. This cruiser can be found next to the training table along the eastern wall of the quarry. This training table provides a nice flat and solid surface to practice your drills and run training sessions. 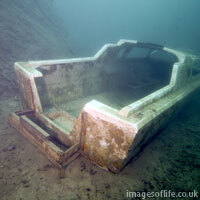 Nearby is a cruiser and can be found along the eastern wall of the quarry. 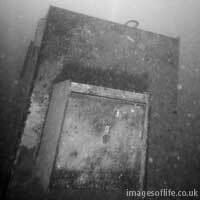 This explosives cabinet can be found near the Devon Aircraft at a depth of 22m. Our Engineers did a great deal of work on this 15 seater aircraft to remove all the engines, lubrication and hydraulic systems. 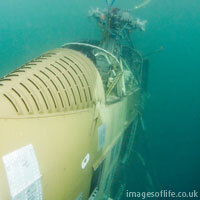 Special mesh was also welded onto the parts that divers potentially could squeeze into, so please do not attempt to go inside the aircraft. 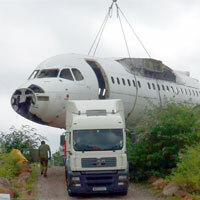 The Devonshire Aircraft can be found near the explosives cabinet. 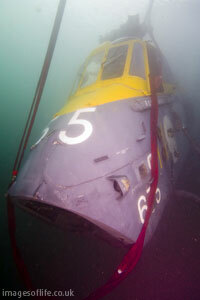 The small 2 man diving bell is situated east of the BAE 146 aircraft at a depth of 23m. 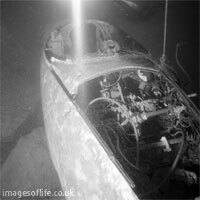 This cruiser is situated south of the small 2 man diving bell at a depth of 25m. You'll find it hard to miss this awesome attraction. 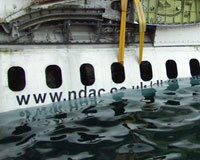 It's a 68 foot long, 30 foot high and 14 tonne BAE 146 Aircraft! 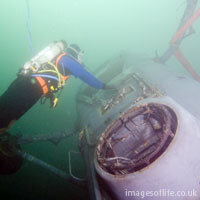 The BAE Aircraft can be found near the small 2 man diving bell at a depth of approximately†27m. The BAE 146 is a medium-sized commercial aircraft manufactured in the United Kingdom by BAE Systems. Production ran from 1983 until 2002. Historical Information supplied by R Mazey. 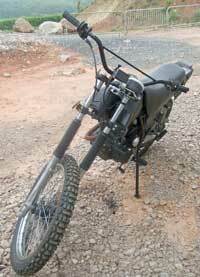 This motorbike was left dumped in our car park for over a month, and was taking up much needed space. So in May 2007 we decided to relocate the bike to somewhere more suitable. 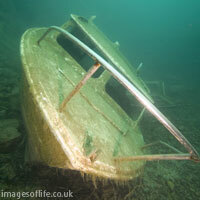 If you happen to be diving around the 20 - 25 metre mark you may come across this addition to our underwater attractions! 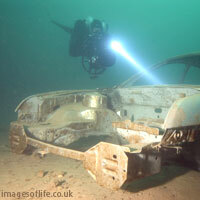 Exactly as the name suggests - a reef made from a Mondeo! 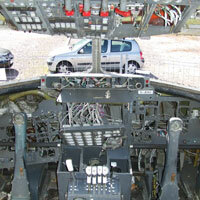 This attraction can be found near the motorbike and BAE 146 Aircraft. 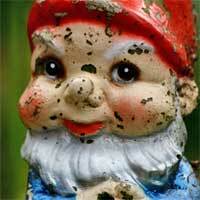 This is where garden gnomes goto retire! Please feel free to add to the ever growing community. 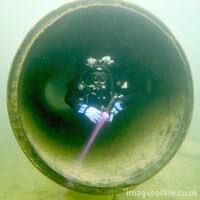 This set of 4 swim throughs can be found South-East of the North Sea Diving Bell. 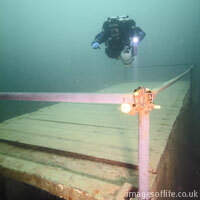 This 17.5 tonne bell spent its former life in the depths of the North Sea and for some time it was welcoming you at the entrance to the National Diving & Activity Centre. 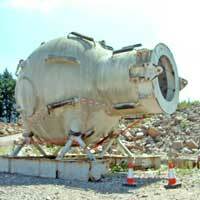 However on the 28th june 2005 the diving bell was installed as a diving attraction on the site with the help of a 200 tonne crane. 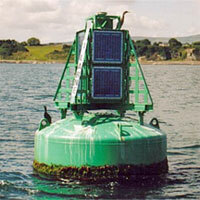 This marker buoy can be found North-West of the end of the pontoon and marks a depth of 20m. 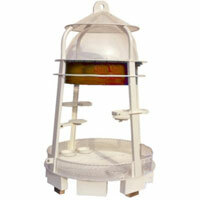 This marker buoy can be found at the end of the pontoon and marks a depth of 25m. This line runs to 42m and can be found at the end of the pontoon. 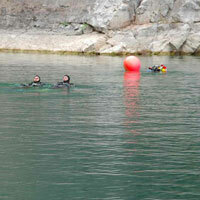 This buoy marks the 50 metre point of the quarry and has a trapeze attached for decompression stops. 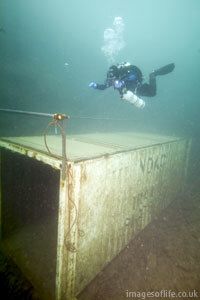 This buoy marks the 75 metre point of the quarry and has a trapeze attached for decompression stops. Home of the SaltFree freediving Club. 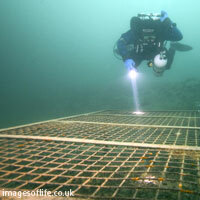 This purpose-built dive platform is the deepest of its kind in the UK and is fully equipped for safety and comfort. 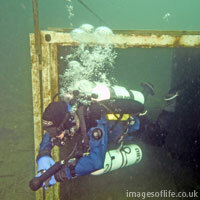 This platform offers the best deep freedive training facilities in the UK and possibly beyond. With the counterweight system, booms and the continued support of everyone at NDAC, that should stay the case for a long time to come. This marker buoy is our deepest attraction and can be found towards the South West Corner of the quarry at a depth of 72/73 metres at the top and 76 metres at the bottom.